Commercial trucks have become part of everyday life, whether on city streets or major highways in Oklahoma and across the country. One eighteen-wheeler truck can accumulate approximately 100,000-150,000 miles in one year. Although these trucks are designed for the “wear-and-tear” of the frequent use, this amount of travel takes a toll on the safety of the vehicle. If a commercial truck isn’t properly maintained, the odds are increased that the vehicle will be involved in an accident. The results could be devastating for everyone involved. That’s why all trucking companies should have a proper vehicle maintenance schedule for their semi trucks. Today’s vehicles are built for safety, but by keeping up with a proper maintenance schedule, all vehicles can be even more safe. Maintenance for commercial trucks includes keeping the engine running smoothly and making sure the brakes, steering, tires, and fluid levels are in working order. All of these actions will guarantee that your commercial truck is safe for long distance travel. Following a maintenance schedule for a passenger vehicle is ideal for the longevity of the car, but not required by law. However, commercial trucks are held to more stringent guidelines that require mandatory repairs, fluid checks, and other types of service. Because they travel farther distances and are on the road for longer hours, it is wise to have commercial trucks regularly maintained for safety purposes. It takes knowledge and skill to drive a large commercial vehicle when it is in good working condition. Failing to follow a proper vehicle maintenance schedule makes driving more difficult. 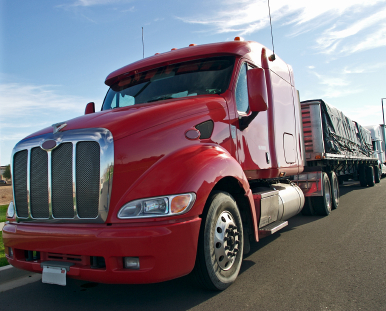 Keeping a semi truck in good shape could be the difference between a safe trip and a catastrophic accident. The following are just some examples of how neglecting maintenance can cause a truck accident. Minor maintenance issues include neglecting small problems for too long. Some of the biggest maintenance issues include persistent brake problems, which can increase the chances of a commercial truck being involved in an accident. Steering issues can make navigating a semi truck difficult and incorrect tire alignment can have a huge impact on the condition of the vehicle long-term. If the headlights aren’t working properly, then driving a commercial vehicle becomes almost impossible. Issues with the tail lights and turn signals can quickly become a serious matter that could lead to a collision with another vehicle. Broken windshield wipers can limit a driver’s schedule and become a major road hazard for all on the road. Trucking companies must establish a regular maintenance service schedule for all of their commercial vehicles. Doing this will help to rotate vehicles and ensure those found to be unsafe will be repaired before being placed on the road again. Truck drivers must keep an accurate record of any problems that occur during their travels so that mechanical issues can be addressed following their return. Any negligence in this area could put other drivers on the road at risk. Sometimes, improper vehicle maintenance issues aren’t solely in the hands of the trucking company or their drivers, but with the mechanics who fix the vehicles. Some technicians are negligent in their job duties and fail to make a commercial truck fit for travel. They must be held liable for their actions in letting others be injured in a crash. It is critical to have a written account of all maintenance work done on each commercial truck. What happens after a semi truck accident? Many times, insurance companies make getting compensation for injuries sustained in a truck accident difficult. Filing a claim or lawsuit can also be complicated, especially for those dealing with intense medical issues and too many bills. That is why it is important to find an experienced personal injury attorney to help after an accident of this nature. Have you been involved in a truck accident in Oklahoma? Contact Dean Boyd for more information on how we can help with your claim. You can call us at (806) 242-3333 or Contact Us by email to learn more about our Services. You can also visit our offices at 4423 SW 45th Avenue in Amarillo, Texas or 5012 50th St #103 in Lubbock, Texas.